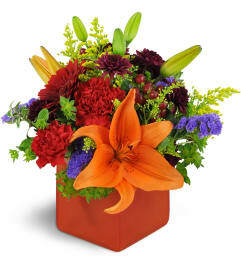 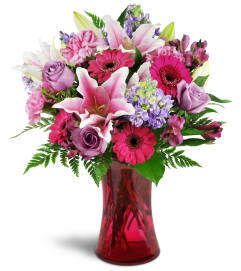 A renewal of faith and an offering of peace, The FTD® Faithful Guardian™ Bouquet is a gift that speaks from your heart to theirs. 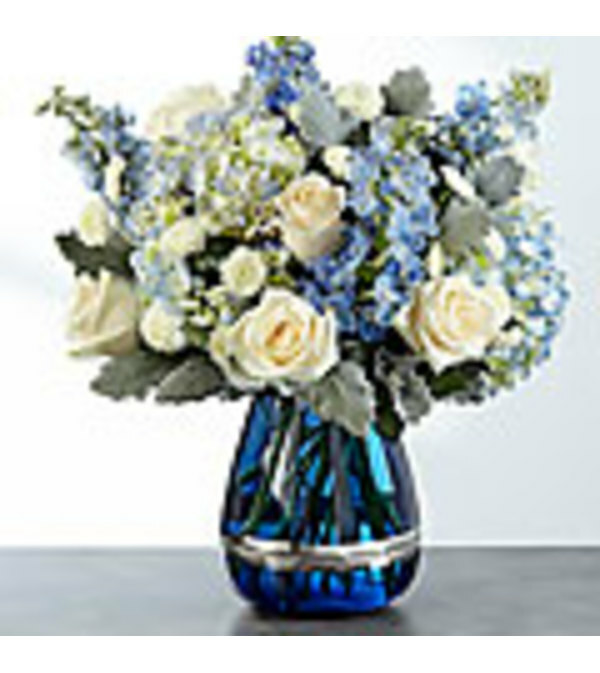 Reflecting the colors of the most majestic sky and the deep blue hues of running waters, this flower arrangement brings together white roses and white button poms with blue Bella Donna Delphinium and blue hydrangea, accented with Dusty Miller stems and lush greens. Presented in a keepsake modern deep blue glass vase with metallic banding, this stunning bouquet is set to make a memorable sympathy, thank you, or thinking of you gift.